If you are a registered nurse from either Canada or Mexico, the NAFTA treaty visa may be a great way to go. This visa boasts several advantages over the H-1B, such as the fact that there is no annual cap and being able to renew your visa indefinitely. If you are interested in living in the U.S. permanently, you can have an employer file an I-140 petition on your behalf. For the EB-2, you will need to have an advanced degree or be able to demonstrate that you have exceptional ability in your field. 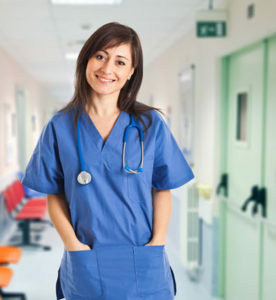 Also making use of the I-140 petition, the EB-3 is a good option for nurses because it is designed for bachelor’s degree holders as well as skilled and unskilled workers. How Much Does the H-1B Visa Cost? F. Attorney fee – these vary from firm to firm. See our fees here. Keep in mind that, while this may seem expensive, your employer will be responsible for most of these fees. The only fees that you may need to pay are the DS-160 fee as well as the attorney fee and the premium processing fee. Work alongside your immigration attorney to ensure that all H-1B fees are filed properly.